Be self-aware, in command, make the most of your true potential with this in depth analysis. Your main qualities are clearly defined and examined. See how the various parts of your psyche - the good, the difficult and the uncertain create the unique human being that is you - revealing the essence of your Soul. Your appearance and personality together with your will and purpose plus, what it is you long for most and the emotional responses you are most likely to make. 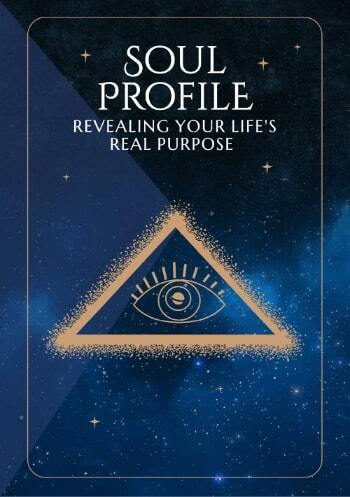 Soul Profile continues with chapters on career and status, your powers of perception and your intellect. Your attractiveness as well as your self-assertiveness and sexual drive. Age-linked areas include your faith and awareness plus the lessons you have to learn and responsibilities you must face up to and undertake. Importantly how you display your uniqueness, sensitivity and embrace your spirituality, your innate power and the areas likely to be most subject to change.